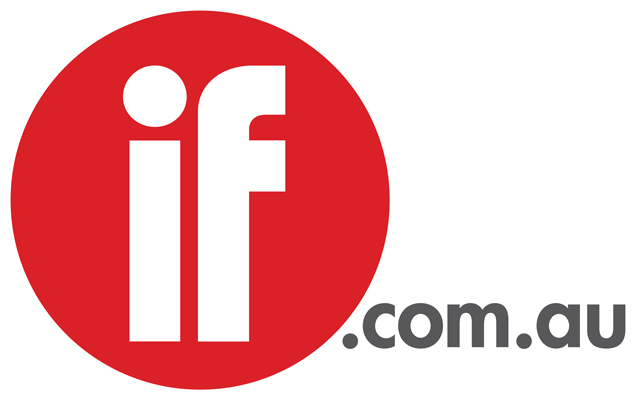 While Disney/Marvel’s Avengers: Infinity War was the dominant title in Australia and around the world last weekend, Aussie distributors launched several films targeted at the non-superhero segment. Russian director Andrey Zvyagintsev’s Loveless had a respectable debut, Paul Damien Williams’ Gurrumul fared OK on 25 screens and Steven Soderbergh’s thriller Unsane and Richard Linklater’s comedy-drama Last Flag Flying bombed. Cinema Nova general manager Kristian Connellly described Gurrumul’s opening as very strong and noted there was a 38 per cent jump for the second weekend of Mike Newell’s WW2 romance/thriller The Guernsey Literary and Potato Peel Pie. “Most holdover titles at Nova held or saw an increase on last weekend as the sheer number of screens required to service the opening weekend of the Marvel release saw those films exit most Melbourne venues,” Connelly added. The top 20 titles harvested $29.2 million, up 87 per cent on the previous weekend on the back of the Marvel blockbuster, according to Numero. The action/sci-fi/adventure directed by Anthony Russo and Joe Russo grabbed $29.9 million from Wednesday through Sunday. The 4-day figure of $21.2 million accounted for 72 per cent of the market and ranked as the second biggest opening weekend of all time and the biggest Saturday ever. That record is held by Star Wars: The Force Awakens, which rang up $27.2 million in its first four days last December and finished up with $93.9 million. Globally the movie starring Robert Downey Jr., Chris Evans, Mark Ruffalo, Scarlett Johansson, Chris Hemsworth, Tom Hiddleston, Anthony Mackie, Paul Bettany, Elizabeth Olsen, Jeremy Renner, Josh Brolin and Chadwick Boseman amassed $US640.5 million, an all-time record. The domestic debut of $257.7 million is also the highest ever while the international haul of $382.8 million is the second biggest behind Fate of the Furious’ $443 million. The latter included a phenomenal $185 million from China, where Avengers: Infinity War opens this weekend. The Amy Schumer comedy/drama I Feel Pretty ranked a distant second with $1.5 million, falling by 40 per cent in its second weekend. The directing debut of screenwriters Abby Cohn and Marc Silverstein, the eOne release has scored $5.8 million – pro-rata ahead of the US, where it’s brought in $29.5 million in 10 days. Kids and families keep flocking to Animal Logic Entertainment/Sony’s Peter Rabbit, which reached $25.4 million after banking $1.2 million in its sixth outing. The live-action/CGI animated family film directed by Will Gluck has collared $318.7 million worldwide and surely will spawn a sequel. Paramount’s break-out A Quiet Place advanced to $10.3 million after nabbing $894,000 in its fourth frame. Directed by and co-starring John Krasinski, the horror movie has rustled up $235. 3 million worldwide, a lucrative return for a $17 million budget. StudioCanal’s The Guernsey Literary and Potato Peel Pie is drawing an appreciate audience judging by the buoyant second weekend of $893,000, off just 22 per cent, which brings the total to $2.87 million. Paramount’s animated family pic Sherlock Gnomes advanced to $6 million after taking $636,000 in its fourth weekend, off just 14 per cent. Brad Peyton’s Rampage, the action/adventure/ sci-fi/fantasy inspired by the videogame, has the staggers, plummeting by 69 per cent to $624,000 in its third, making $7.8 million thus far. The Warner Bros. title starring Dwayne Johnson, Naomie Harris, Malin Akerman, and Jake Lacy and Joe Manganiello has collected a mediocre $77.9 million in the US but is resonating much better in the rest of the world, grossing $256.7 million. Wes Anderson’s futuristic Isle of Dogs drew $250,000 in its third weekend on 104 screens, generating a decent $2.3 million for Fox. Steven Spielberg’s Ready Player One ascended to $13.6 million after making $223,000 in its fifth lap, not reaching the heights that Roadshow was hoping for. However the sci-fi action adventure has amassed $545.2 million worldwide. Nick Park’s animated action/fantasy Early Man fetched $185,000 in its third outing, scoring a modest $1.78 million for StudioCanal. Winner of the jury prize at last year’s Cannes Film Festival, Loveless stars Maryana Spivak and Alexey Rozin as a divorced couple whose 12-year-old son disappears one night. Palace launched the drama on 19 screens, taking $95,000 and $184,000 with festival screenings and previews. 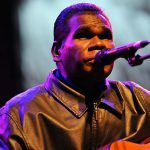 Madman Entertainment released Gurrumul, the acclaimed bio on the late Indigenous musician Geoffrey Gurrumul Yunupingu, on 25 screens, drumming up $84,700. However the total including festival screenings and previews is an impressive $292,000 and the distributor is counting on word-of-mouth to sustain the film as the release more than doubles over the next four weeks. Fox launched Unsane, which was shot entirely on an iPhone 7 Plus, on 40 screens, yielding $80,000 and $102,000 with previews. The thriller starring Claire Foy as a woman confined to a mental institution after she is pursued by a stalker misfired in the US, ending up with $7.7 million. Transmission Films’ Last Flag Flying, which stars Steve Carell, Bryan Cranston and Laurence Fishburne as Vietnam vets who reunite to bury one of their sons, a Marine killed in the Iraq War, mustered $62,000 on 63 screens and $82,000 with previews. That’s no surprise considering the Amazon Studios production opened in the US on just four screens via Lionsgate, broadened to 110 screens and finished up with $965,000.